Browse my rental properties & get started finding your next home. Are you a landlord looking for more information? Look no further! If you're searching for a Property Manager for your Rentals in the Eastbay or Tri-Valley you've come to the right place. We manage properties in Pleasanton, Dublin, Livermore, Danville, San Ramon, North Fremont or East Castro Valley? Browse through our currently rented properties under the landlord tab above to get a feel for the properties we manage! Meet Ginny Ferguson, your knowledgeable and dedicated East bay real estate property manager who can help. Give her a call at 925-463-0167 or 925-570-4405 and lets get started today! As a member of the National and State Associations of Residential Property Managers, Ginny is determined to uphold the highest standards of ethical conduct and business practices for which the Property Management Profession wishes to be known, and to provide professional, result driven, efficient and custom tailored service, beyond a client's expectations. With Over 20 years of hands-on experience, her real estate services allow the client to focus on their core business by placing operational responsibilities for managing their investment property in the hands of a professional. She is dedicated to finding ways to save clients money without sacrificing service, Placing the best interest of the client first. I know what costs should be. Service calls, maintenance, repair problems, and homeowner concerns and issues are handled quickly and efficiently. Her extensive management experience enables her to properly prepare homes for quick rental and carefree ownership while you are away. She handles housing for the Tri-Valley and East Bay Area. 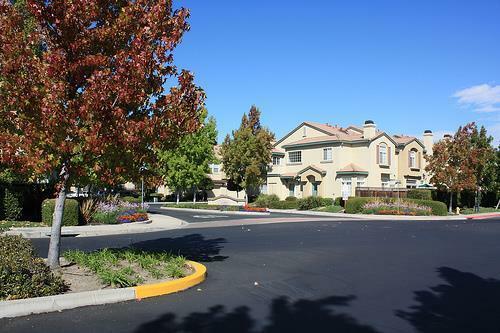 Her office is centrally located near downtown Pleasanton and the 580/680 crossroads.